How do I find the best respite care facility near me? Cost. This is a major factor. While you do not want very cheap services that endanger the patient or your loved one because negligent people offer them, beware of institutions that are just blatant in overpricing the services offered under respite care. Compare several options before settling and be sure to stay within the limits of your budget. Reliability. Is the customer care desk of the institution you are considering going to pick up when you call? It’s normal for a caregiver who has spent a lot of time with a patient to harbor feelings of guilt when they are away. Normally, they get over these feelings by contacting the aide who has assumed their responsibilities. An institution that keeps you anxious because they do not pick up your calls is inconveniencing, worrisome and outright unprofessional. Time. If you intend to spend a single day away, an adult day center or in home care are viable options. However, if you are going on a vacation, consider relocating the patient to a nursing home. Proximity. Ask: is the respite care facility near me or within a reasonable distance? Will it be convenient for the family to visit? Respite care is briefly described as temporary institutional care that’s given to anyone who depends on other people’s assistance to get through a day in the absence of their usual caregiver. This type of care is specifically designed to relief the caregiver. You will find yourself in dire need of the services offered in respite care if you are responsible for giving care to an aged parent, a relative who has Alzheimer’s, and others with similar conditions when circumstances force you to be away. At some point, you will grow tired of doing the same things every day: bathing the elderly, aiding them to eat, and performing for them other chores that are considered personal. These services require great courage and patience. Anyone who has been through these experiences knows that it’s not easy and that breaks will be necessary to prevent caregiver burnout. Although it is mainly associated with transferring the individual who needs help to a nursing home, respite caregiving can go on at home being offered by a hired professional. However, relocating to a caregiving facility is the norm. In this context, it is therefore assumed that the person in need of respite care services intends to transfer to a nursing home. Why should I look for respite care near me? Several factors make looking into respite care near you an inevitable choice. Below are a few common scenarios that could push an elderly senior’s caregiver to purchase the services that are offered in respite care. It’s possible for a caregiver to fall sick and therefore, become incapable of caring for their handicapped relation or client. After all, caregivers are often family members, and they can frequently be elderly themselves. If such a situation comes up, the caregiver is obviously going to abandon his or her responsibilities to care for their health. However, handicapped people need ongoing assistance. A new caregiver has to be found, or else the disadvantaged individual will have to be transferred to a nursing home. 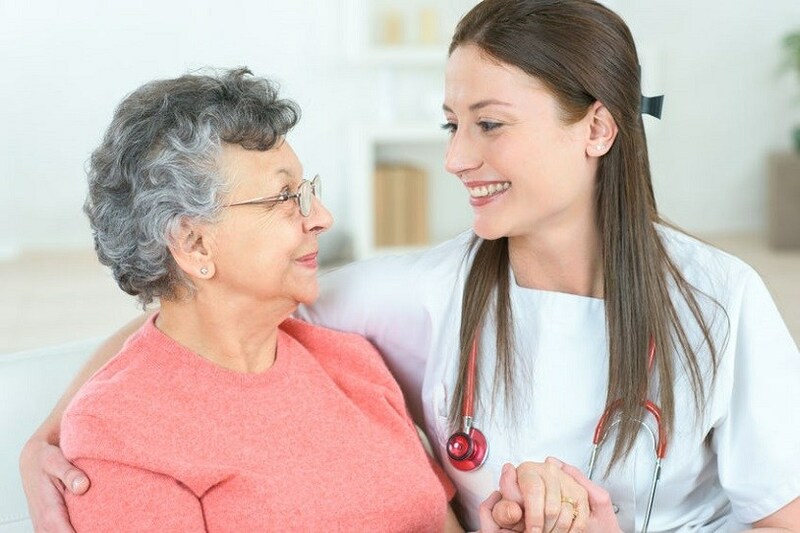 To minimize costs, most people with a relative who needs constant care opt for respite care in nursing homes where he or she will continue receiving care until the caregiver recuperates. Besides, certain groups of handicapped people and especially elderly seniors with physical limitations prefer that someone they know well cares for them. It’s a major reason why their relatives would rather have them waiting in respite care than employ a new caregiver. Sometimes, a caregiver will be invited to an occasion or event that he or she does not want to miss. A few examples of such an occasion include graduation ceremonies, wedding ceremonies, and funerals. Because the nature of a caregiver’s responsibility obliges them to stay in the vicinity of his or her patient, he or she must make arrangements for someone else to assume responsibility. This is where respite care comes into play. The disadvantaged individual can stay at a nursing home for a night or a few days before his or her caregiver resumes normal duty. For any profession, breaks are essential for workers who wish to continue in their display of stellar performance - and this includes caregivers. Whether the caregiver volunteers or works as a hired professional, it is necessary to remember that dealing with handicapped individuals is exhaustive. People living with dementia or Alzheimer's disease are easily irritable and in general, very difficult to deal with. To be honest, it’s stressful, but this is not the kind of job that allows those responsible for easily taking a break. If a caregiver feels overwhelmed, they should consider buying the convenience of respite care. Two or three weeks would be enough to unwind and come back rejuvenated. What are your other care options? 'Nursing home' is a general term for all institutions that offer care giving services. To find the best option for a client or relative, a caregiver needs to be specific about the kind of institution he or she intends to transfer the patient to. The choice heavily depends on the circumstances at hand. For instance, if the reason for considering respite care is to avoid missing an event or occasion, an ideal choice for this case would be adult day care near you. The other option involves staying at a residential facility. Unlike an Adult Day Care Center, there are benefits in that the physically limited individuals are allowed to spend nights in the facility as they await the return of their caregiver. Note that majority of nursing homes offer this type of service. However, note that nursing homes may not be your best option here as they are generally one of the most expensive senior care options available. Another option when it comes to respite care is in-home care. In-home care services carry a higher cost because someone has to be paid at an hourly rate to cover the responsibilities of the absent caregiver. Caregivers who offer respite care services as freelancers charge expensively because, in most scenarios, they will be needed when there is an emergency.